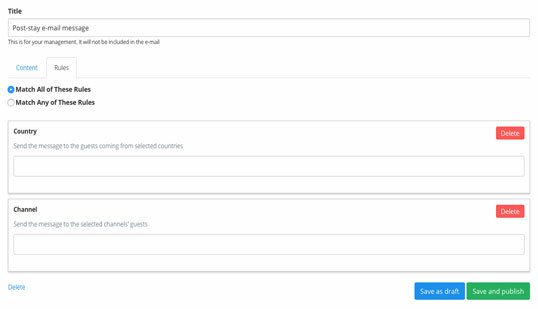 Chat with your guests in their native languages and engage with them during and after their stay by sending them automated emails. Want to enhance your communications with your guests? 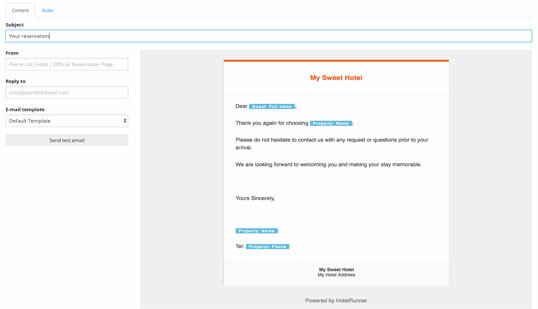 Guest Notifications feature allows you to engage with your guests before, during and after their stay by sending them automated emails. Engage, convert and retain your guests with scheduled reservation emails, enhance your communications and continue the conversation! Send personalized multi-lingual emails easily. Learn more about guests’ needs and preferences before they arrive. Engage with your guests by offering airport transfers, room upgrades, offers, local activities and recommendations all customized based on the reservation – data and source. Incentivize your OTA guests to share their direct contact information so that you maintain the customer data for loyalty. Retain your guests to drive revenue and repeat bookings. 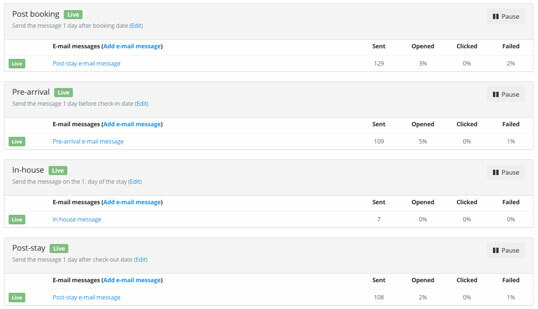 You can also segment the guests based on the channel and country, craft your content in multiple languages and track your email performance down to each email sent.